Of course, when it’s hot, you don’t really want to be cooking heavy meals. This week I received my Riverford Veg Box, and included in the box is usually a recipe using some of the contents of the box. I decided to make it to go with some barbequeing with friends. 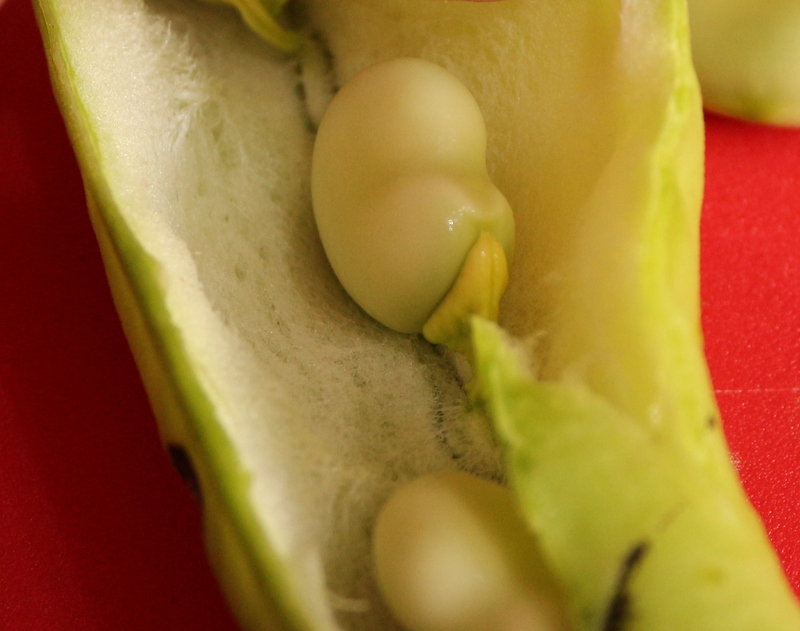 It uses broad beans, which I have to admit may have sat in their pods for a few weeks in my fridge before I finally tossed them out, as I would have had no inspiration as to what to do with them! Cover the potatoes in water, add the saffron and salt and bring to the boil. Simmer for 12-15 mins, until tender. While the potatoes are cooking, bring another pan of water to the boil. Pod the beans and add them to the pan, boil for 3 minutes, drain, and refresh in a bowl of cold water, then drain again. 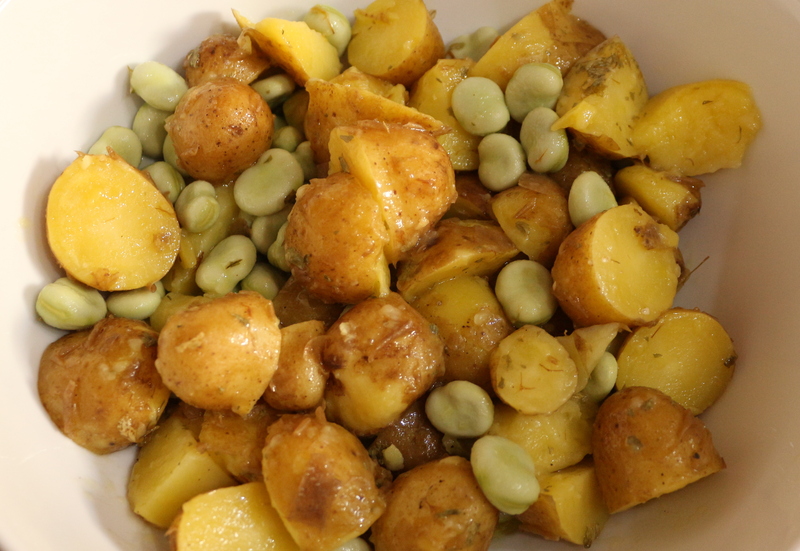 Drain the potatoes then add them to the beans, toss in the oil and season. Add lemon juice to taste. Toss in the parsley to serve. 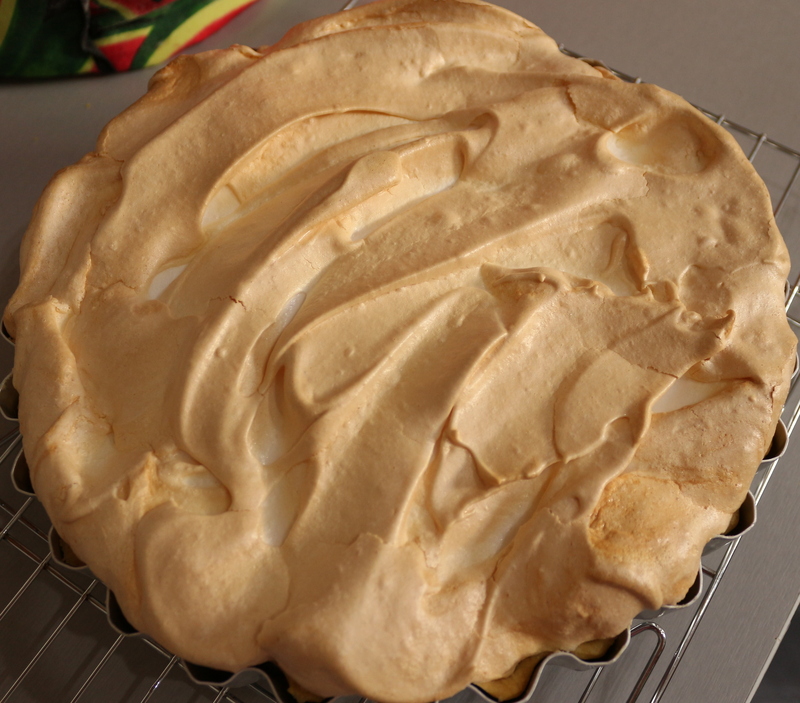 Lemon Meringue Pie! Just a full sized version of this recipe.